A Guide to Re-Creation, Sustainability & Fun! Hawaii's Big Island is often referred to as the "Healing Island" because its powerful volcanic energies, majestic mountains, mist-filled rainforests and pure waters provide the perfect natural setting for wellness and rejuvenation. 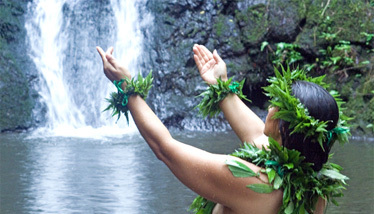 The Hawaiian culture has a rich history in the tradition of the healing arts, from massage and cleansing to herbal remedies and spiritual practice. Today, Hawaii Island offers a full range of wellness travel options including practitioners, modalities, accommodations and adventures of all kinds. Use our directory to find services that can address all your interests: body, mind and spirit. Discover the island's power-spots and sacred sites, enroll in a retreat that will change your life, learn about complementary medicine, detoxification and cleansing, enjoy a relaxing spa treatment and find the island's healthiest foods - it's all here. Whether you are a traveler or a resident, we invite you to use our site to help guide and direct the sustainable development of lifestyle and wellness on Hawaii's Big Island. If you ARE a resident, why not pretend that you live in paradise, and treat yourself with even a portion of the nurturing you provide for your guests, your clients, your family, and your friends? 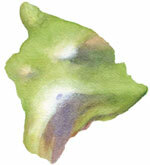 On the Island...Guide to Re-Creation, Sustainability & Fun!